Solar Foldable Charger ECE-626 Black,solar charger, solar panel, solar panel charger, foldable solar charger, flexible solar panel, solar battery charger, solar battery pack, sunpower solar charger,ECEEN Electronic limited. ECEEN CHARGER 13W captures more sun than conventional solar panels, which means we generate more electricity per panel, and we use less panel to produce the energy you need. The result? 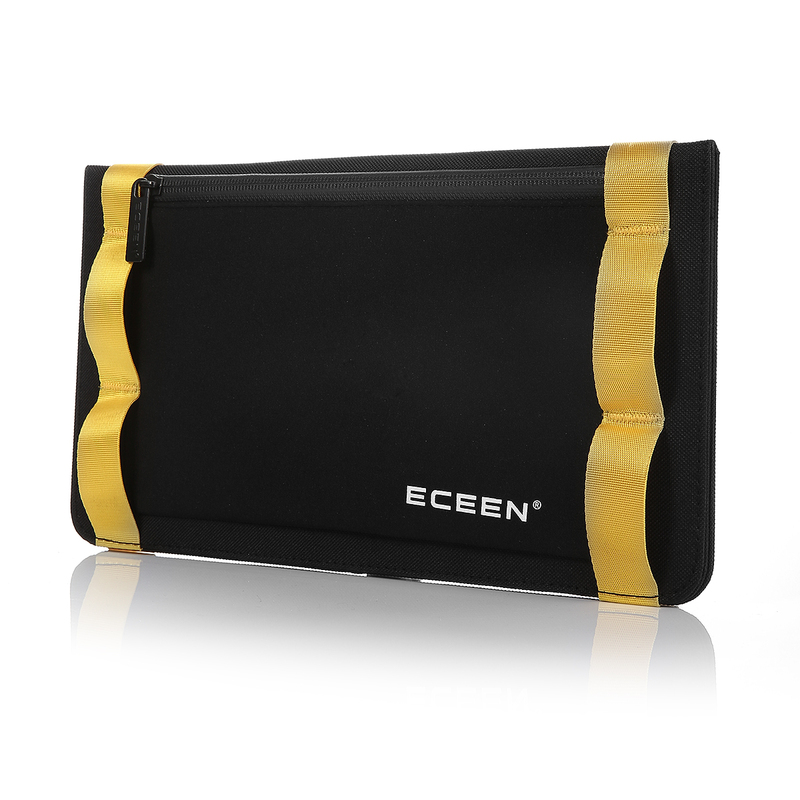 With ECEEN CHARGER 13W, you need not to worry your devices run off power, enjoy the greatest happiness during your travel. 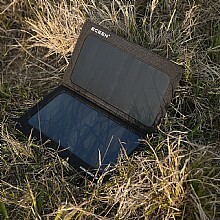 According to third party tests, ECEEN CHARGER 13W has high efficiency of 22%, produce more juice than other solar panel pack, with only 2 monocrystalline silicon panels, but it captures more sunlight and converts light into energy more efficiently, with its 13W output, full charge your iPhone just need 3~4 hours! 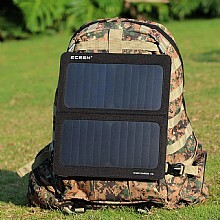 More portable than any other 13w solar panel pack, its total weight is only 1.0lb, backside pouch hold your mobile phone and iPad Mini or other accessories inside perfectly. Monocrystalline silicon panels produced by Sunpower company guarantee its quality, it won't be broken even bent up to 40 degree, the stretchy Polyester canvas provides perfect protection for Monocrystalline silicon panels and circuit. Since the output port is USB, it can be used to charge smartphones, tablets, and even accessories, or any other 5V devices. 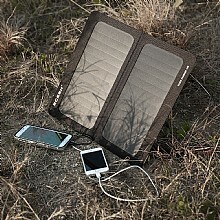 Unfold the ECEEN CHARGER 13W solar panel under DIRECT sunshine, connect your device to the USB port, and keep your device out of the sunshine to protect it. 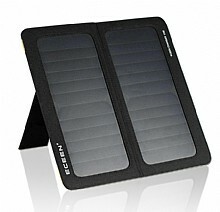 The solar panel should face to the natural light when charging. 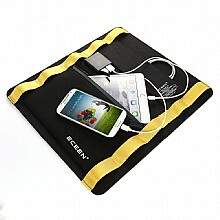 Please plug cable out and connect your device with solar charger when your device shows the device not support or stop charging. Question: I expected the panels to output 13 watts, which is about 2.5a at 5v. the highest i got was 1.3a which is about half. is mine defective?. Answer: Hi JWLV, You're a prfessional buyer. Our solar panel is 13W/6V, so the solar panel output is 2.1A(Max), And there have voltage regulator, which keep the output voltage on 5V and automatic compatible and work for the difference charging device. And consider the weather conditions, So the USB output will be lower than the theory. Question: Would this still charge if slipped into a clear plastic sleeve? Answer: Technically yes, but it would have a little less umph so it might take a little longer to charge. There is a downside however, in that if the plastic sleeve were meltable - even just a little - there could be problems. Question: What is the actual weight on the unit? Answer: Hi James, Sorry for the confused, The charger net weight is 1.014Pound. thanks! Answer: Hi Juan, It's can't charge the yeti 150. the solar panel need 12V-18V output and bigger power solar cells, and make sure the connector is 12MM, thanks! Answer: I do not know how long it will take to charge your laptop. I have been using this charger for about 8 months and it works great with my iPad and iPhone BUT it is directly proportional to the amount of sun light available . Question: can you use this without unfolding it and get 50 approximately 5 V 1A output to charge a 5000 mAh battery in approximately 6 hours? Question: will this charge an iPad? 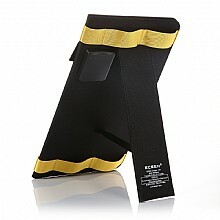 Answer: Hi KSST, Of cause, it can charge iPad, no doubt. Thanks! Question: hello, is it water resistance ? Answer: It's water resistant but not waterproof. a splash or a bit of rain is ok. but can not soaking into water at all. 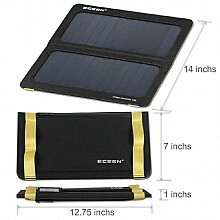 Answer: This solar charger is 13watts, and the dual USB output voltage is 5V, it can charge cell phones and other's 5V device, I think the marine battery is 12V input, so I think 13Watts solar charger can not charge your marine battery. 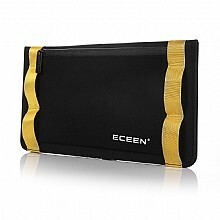 anyway, you can contact ECEEN factory, they can make the solar charger customized.